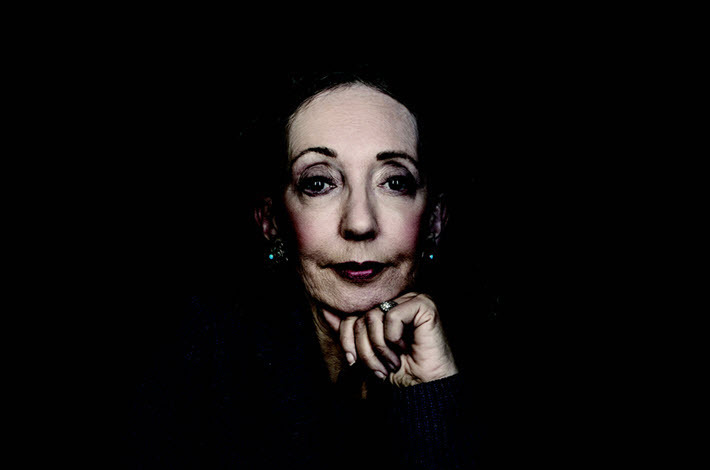 The Jerusalem International Book Forum has announced today (January 17) that the American author Joyce Carol Oates is the recipient of the 2019 Jerusalem Prize. She will receive the honor during the forum’s opening ceremony on May 12 from Moshe Lion, Jerusalem’s mayor, and is scheduled to participate in the forum’s programming. As Publishing Perspectives readers will remember , the Jerusalem International Book Forum (JIBF) is an ambitious recalibration of the former book fair, evolving in its 29th iteration from a convention-hall based format to a more dynamic forum featuring a roster of elite speakers and a program focused on substantive examination of issues, trends, and potentials in world publishing today. Oates becomes the first-announced of many internationally recognized figures who will participate in the forum, which runs this year from May 12 to 15. It will be opened along with the International Writers Festival of Mishkenot Sha’ananim, which runs parallel to the forum, May 12 to 16. As the winner of this year’s US$10,000 Jerusalem Prize, Oates joins one of the most elite rosters of literary laureates in the world, a list that includes Bertrand Russell, Mario Vargas Llosa, Milan Kundera, Simone de Beauvoir, Eugene Ionesco, Jorge Luis Borges, Graham Green, Arthur Miller, Ian McKewan, Haruki Murakami, and Susan Sontag. 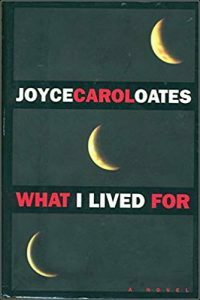 “Over the course of more than five decades, Joyce Carol Oates has created a rich body of literary work. “Her creative work dictates new creative horizons and denotes a continuous breach of boundaries. Although her work is characterized by an unmistakable voice, she continues to surprise her many readers with the elaborate narratives she creates, as well as the thematic variations of her works. “Her writing–which corresponds with great American literature as well as with gothic literature, with myths and the movement of time–stems from an inexhaustible reservoir of rich imagination: in each book she investigates another unknown territory. “More than anything else, Oates describes and throws light on the tension between the hidden anxieties and desires that permeate the human psyche, and the forces of family, society, and culture that give them form–imprisoning them and sometimes releasing them. “I am deeply honored to be a recipient of this distinguished international literary award,” she says, “made to writers whose work deals with the freedom of the individual in society. “In a world in which individual freedoms are under assault, the autonomy of the individual and the role of art in our lives is of great concern,” Oates says in her statement. “The very identity of the individual self is a theme that has long preoccupied me as one whose background has been ‘marginal’—rural, not prosperous, unallied with a specific religion or culture, born in an era when the term ‘feminist’ scarcely existed. The joint platform Makov mentions—the forum and the writers’ festival—will stage professional and literary events in close proximity for the public, and will feature guest authors who represent the contemporary voices of both the Israeli and international scene. Four times a Pulitzer Prize finalist, Oates is a recipient of the National Medal of the Humanities–presented to her by Barack Obama in 2010–as well as a winner of the 1970 National Book Award in Fiction (for them, 1969, Book 3 in The Wonderland series); the National Book Critics Circle Lifetime Achievement Award; the PEN/America Lifetime Achievement Award; and the PEN/Malamud Award for Excellence in Short Fiction. 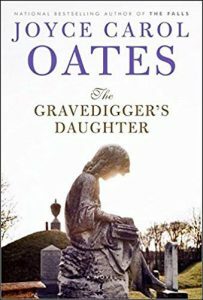 Born in Lockport, New York, in 1938, Oates is a strikingly prolific writer whose body of work includes We Were the Mulvaneys, Blonde, and The Accused, among many others. The International Festival of Literature and Art with Humor at Bilboa honored her in 2015 with its Lifetime Achievement Award, and in 2017, she was inducted into the American Philosophical Society. Based in New Jersey, her long career in teaching has included positions at Princeton (emerita with the Roger S. Berlind Distinguished Professor, the Lewis Arts Center), New York University, and the University of California at Berkeley. 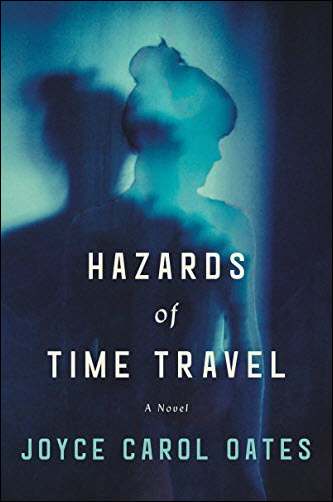 And at the Guardian, Liz Jensen writes about Hazards of Time Travel, saying, “Oates’ message is clear: any society that punishes exceptionalism in the name of egalitarianism is a dystopian one. More from Publishing Perspectives on the Jerusalem International Book Forum is here, and more on prizes in books and publishing is here.